At the Law Office of Schachter, P.C., we are committed to providing skilled and accessible legal representation at a reasonable price. We help clients resolve legal problems in a broad range of practice areas, including family law, bankruptcy, real estate, probate and business law. We work hard on behalf of every client, offering personalized services that large firms generally cannot provide. Whether a client needs us to return a phone call promptly, explain something in his or her own language, or deliver a document to his or her home, we strive to be helpful. 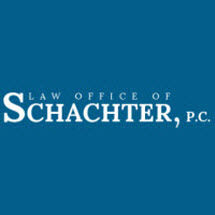 Our firm is led by David B. Schachter, an attorney with more than 30 years of experience. Born in France and raised in Australia, Mr. Schachter can relate to our firm’s diverse client base. We are pleased to serve clients in a variety of languages, including Spanish, Bengali, Hindi and Hebrew. Our office is conveniently located two blocks from the Jackson Heights MTA stop, a brief subway ride from Grand Central Station. We are also just minutes from the Brooklyn-Queens Expressway (BQE), the Long Island Expressway (LIE) and Grand Central Parkway. If you are looking for an experienced bankruptcy, real estate, business or family lawyer licensed in New York, do not hesitate to call us at 888-337-2679 or send us an e-mail to schedule a free consultation with attorney David B. Schachter.